In 1791 when Joanna Furnace was founded by Samuel Potts, Thomas Rutter III, Thomas May and Thomas Bull, Berks County was part of Chester County. Hay Creek Valley Historical Association Executive Director Mark Zerr and over 25 living history volunteers brought the village to life for Town Tours in this wonderful testament to imagination and hard work in the 1800’s and today. 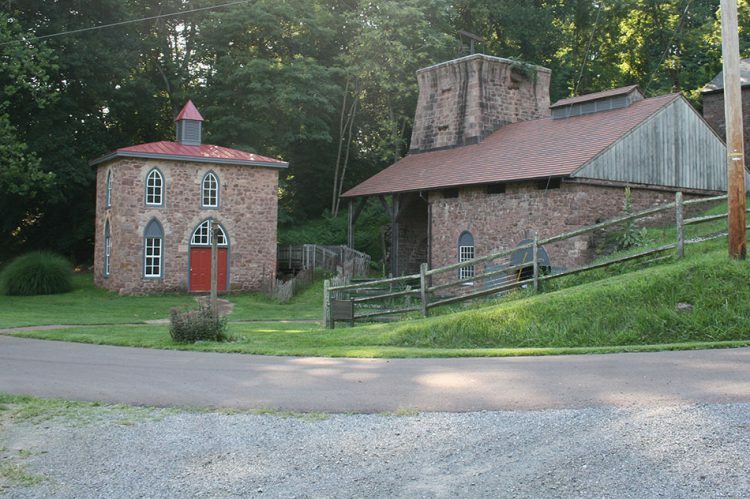 This remarkably restored iron village was buried in the woods and weeds after the furnace blew out in 1898 until work began in 1979 to restore the village. Volunteers recreated this 19th Century iron making community through research, archaeology, restoration, early American crafts, engine technology and just plain hard work!! I sincerely hope all the Chester County residents who wanted to make the trip but felt it was too far will return for the Hay Creek Apple Festival at Joanna Furnace on October 8 & 9 when over 10,000 visitors will enjoy “all things apples” for two wonderful days of family fun. For more information about this festival and Joanna Furnace visit www.haycreek.org/index.htm.